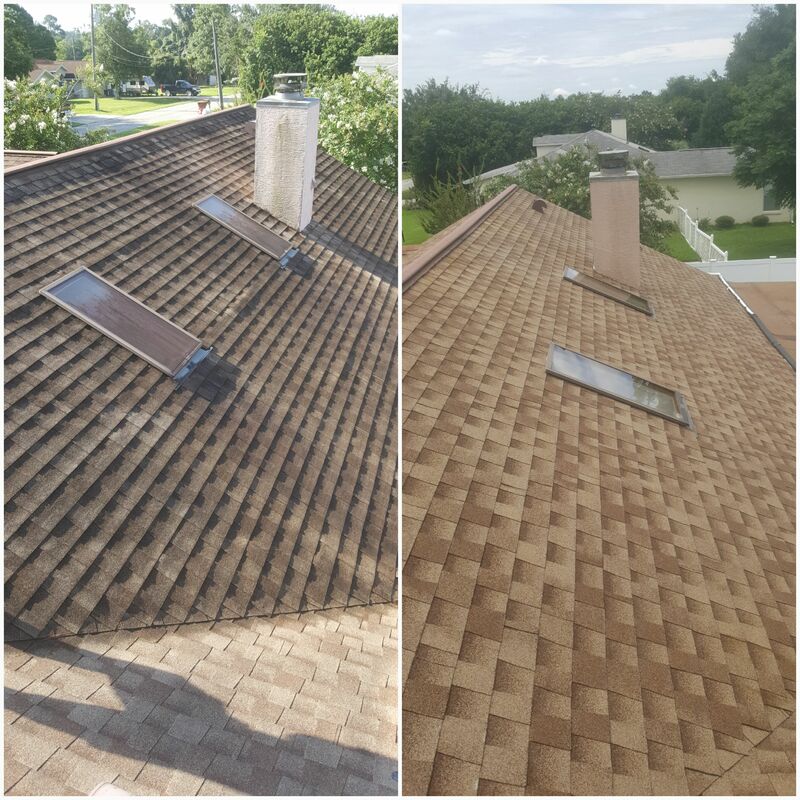 Why do you need to clean your roof? It’s not just a black stain but a living organism which is feeding on the shingle. This is wearing them down and breaking off the granules, which protect the asphalt from the uv rays of the sun. When this happens the asphalt on the roof is exposed and begins to deteriorate. 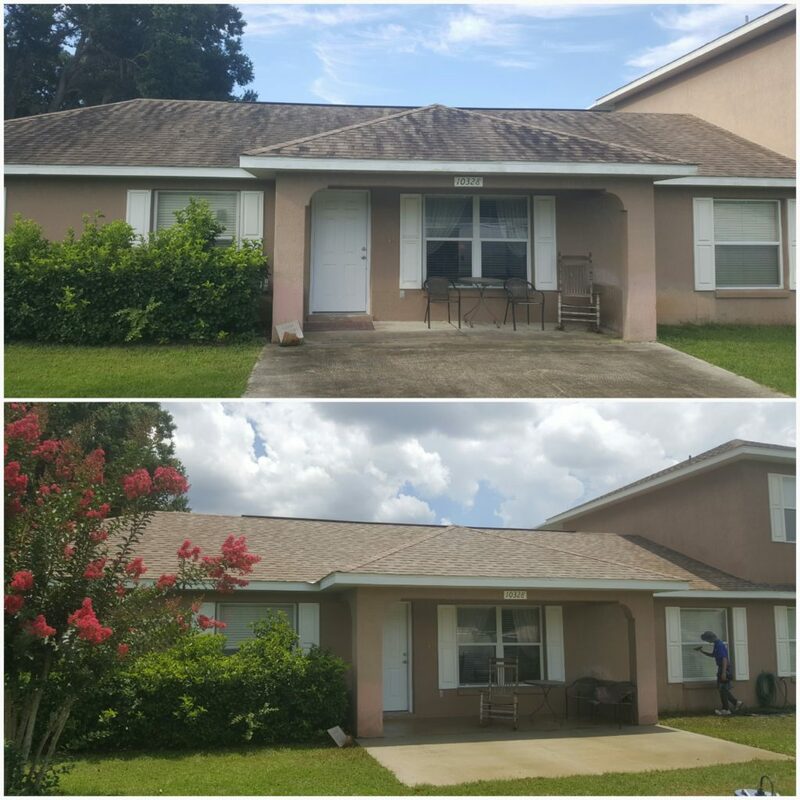 What causes the black streaks on the roof? 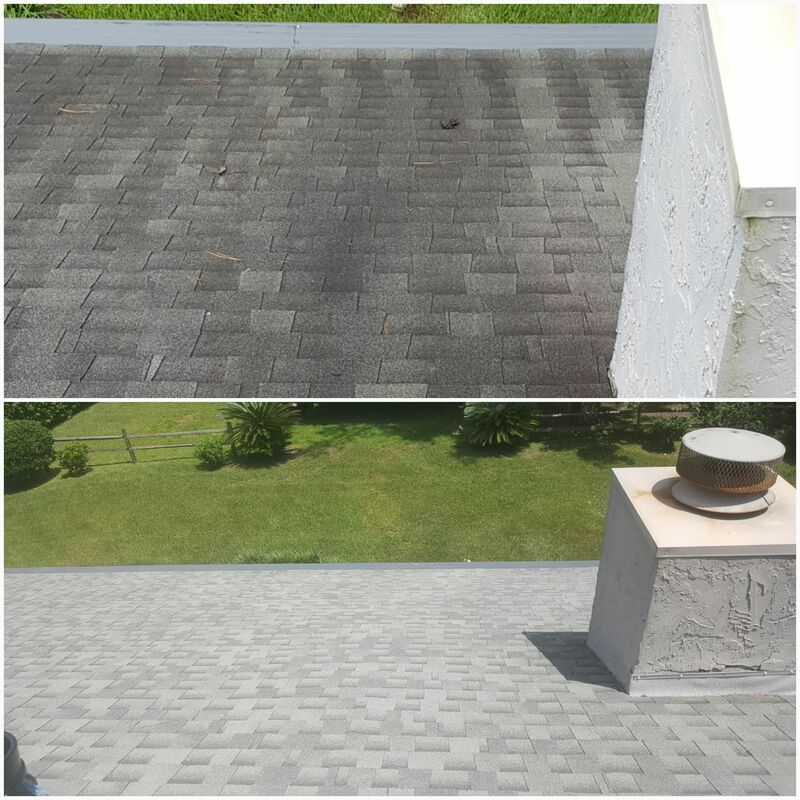 Gloeocapsa Magma is the true culprit that causes black streaks on the roof surface. Other forms of organisms can be found with this bacteria, including mold, fungi, algae, mildew, lichen, and moss. How do we safely clean roofs? We use a method called softwash which consists of applying soap and rinsing with no more then a garden hose pressure. The best proven way to clean and kill the source of this eyesore of black stains is a proper use of chemical and soap. Wash-A-House blends a mix precisely for each job in a 50 gallon tank of water, bleach and soap. Then sprays it on the roof with no pressure. After letting it set for a little we rinse it with just a water hose protecting the integrity of the roof and shingles. To protect the plants around the house we pre-wet the plants and cover them.